• Graduated 8 layer stiff tulle net which is all hand tacked by professional costumer, all layers of the net is pleated. top layer decorate with white laces perfectly. • leotard has 8 panel shapes to fit body contours, white laces shape the body and give a great contra. An absolutely beautiful tutu which is ready for you to dance on the stage. Custom make is available, it will take about 6 weeks pls note. 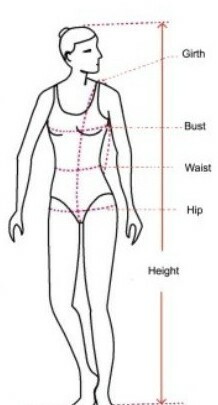 We will need measurement of bust / waist / hips / girth/ and heights of the girls in cm. 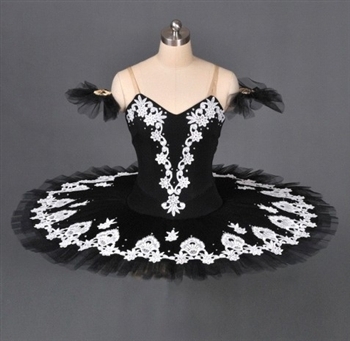 AM Size guide: Model in the picture Bust: 82 cm, Waist: 65 cm, Hips: 82 cm, Girth: 142 cm, tutu on the model is AM which is firm/ perfect/ just fit size. Here is a size chart for your reference, pls measure your girl carefully to avoid disappointment.